Ours is a world in a rush. As parents, we love our children, so we hurry them off to the best schools, tuitions, sports sessions, music classes and so on. We work ourselves into the ground to give them the best of comforts. The consequence of all this is very little time to nurture, care for and love our children. We need to take time out for our children and just be there for them. We cannot pass that responsibility on to someone else. Yet in the midst of all our challenges our own parents can be a new lease of life to our children. As Bill Cosby put it, “Because grandparents are usually free to love and guide and befriend the young without having to take daily responsibility for them, they can often reach out past pride and fear of failure and close the space between generations.” They are able to move beyond the petty things and extend more grace, kindness and acceptance to the young ones. Even once-strict parents become indulgent grandparents. No wonder we call them “grand” parents. They are able to be involved in our children’s life with a greater level of parenting. Grandparents have an amazing opportunity to leave a legacy that will last generations. Indeed this will possibly leave a greater impact than even their best moments of career successes. Attention, Grandparents! Here’s what you as a grandparent can bring to your grandchildren: Building special memories together, by lovingly investing time in their lives. Now that you may have more time to spare, what better way to spend it than on your grandchildren, freely, and build a special bond that lasts beyond your lifetime. Even if you live far away, you can connect through the internet, phone, letters and so forth. If you make this a priority from the time the kids are young, even in their teenage years you can be their refuge. Accept each grandchild for their uniqueness and do not compare them: God has given you this beautiful opportunity to influence a new generation, so be mindful of the kind of influence you are on them. 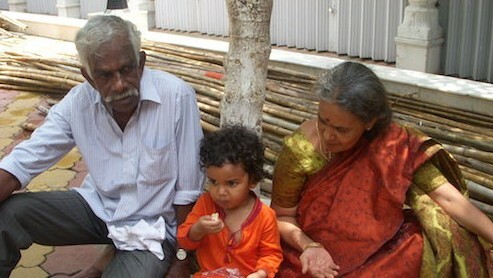 One of the biggest mistakes a grandparent can make is to compare one grandchild with the other and show favouritism. Your role is to accept each child for who they are and love them in spite of their shortcomings. In the world outside, people draw enough comparisons to damage them. Do not add to their misery but nurture their self-esteem by accepting them for who they are. Demonstrate through your life, values and attitudes that you want to see in them. To establish a grand relationship with grandchildren, involve them in your life. They will learn a lot from just watching you.